When we say these leggings have an extra-high waist, we mean it! 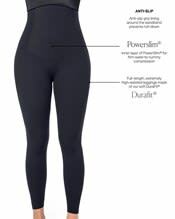 These leggings are made with our soft, breathable DuraFit® fabric for moderate compression all the way down to your ankles. 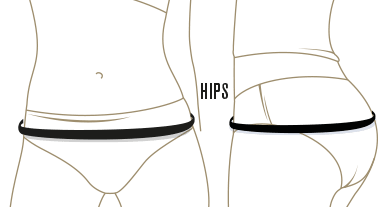 An inner layer of our moisture-wicking firm compression PowerSlim® fabric gives you slimming, sculpting, and support from your bustline down to your tummy. Designed for perfect fit and coverage, the wide waistband includes an anti-slip grip lining to keep it in place, no matter what. Fabric content: 65% polyamide, 35% elastane. Everyday: These leggings go with almost any outfit. Perfect under tunics, ponchos, long tops, and under dresses.